Tuesday, Nov. 13, 2018, 2:30 p.m. The Jasperactive™ Benchmark lasts 50 minutes. You can sign up for one of three time slots to take the Benchmark on this date between 2:30 and 7:15 p.m. Seats are limited to 12 workstations per session. 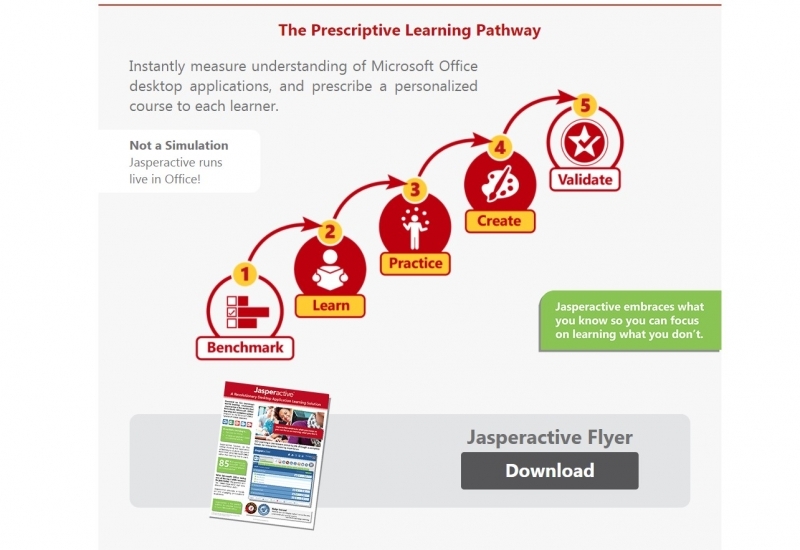 The Library uses Jasperactive™, an online platform that meets the Microsoft Office Specialist Global Standard, to help ensure success on the Microsoft Office Specialist Certification Exam. Learn more about the Microsoft Imagine Academy Certification process.